Christmas is in the air and Kasal.com shall award its ever-so-loyal followers with more giveaways! Studio Namu has over 50 different themes to choose from! 3. 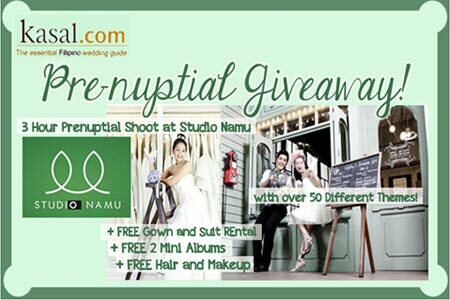 Post this as a status on Facebook: “@Kasal.com is giving away awesome prizes from @Studio Namu! Wow!http://bit.ly/NlJS7N“. 5. Blog about your wedding preparations, Kasal.com and Studio Namu in one post. Please include photos of you and your partner. Note: Make sure everyone is tagged and your status/post is set to public. FILL UP THIS FORM. « DON’T FORGET THIS! Why is Studio Namu the choice for your pre-nuptial? Giveaway is only open to couples getting married this 2012 or 2013. Couples should also be residents of Manila (or nearby areas) who will be available for a photo shoot on October 27, 2012 at Studio Namu in Quezon City. 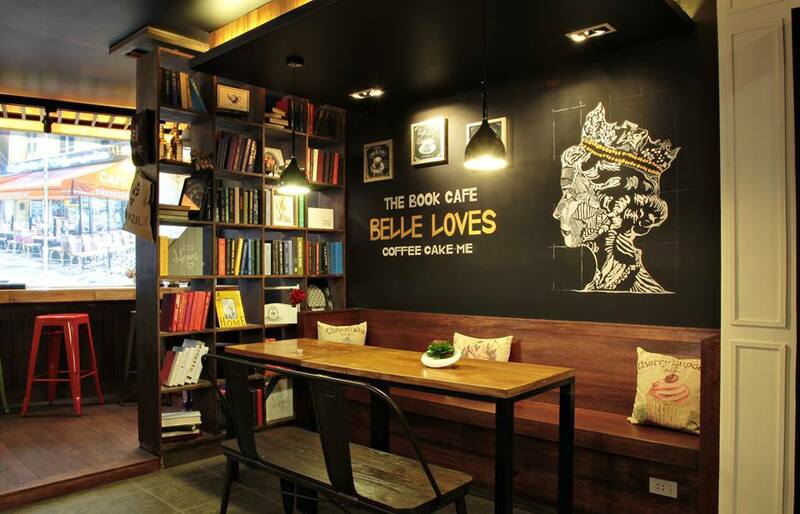 Studio Namu will also provide for free lunch and snacks for the couple. Other not-so-lucky contest participants can avail of a 30% discount from Studio Namu packages from October to December 2012. Winners will be chosen by Studio Namu. Contest ends on October 19, 2012. Hurry! Join now and spread the word! Make Every Moment Count at Studio Namu! What’s New at Studio Namu?